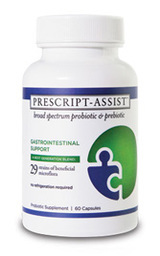 Unlike other probiotic supplements, Prescript-Assist™ is a synergistic blend of not one or two, but a full 29 probiotic strains, specifically chosen to mimic the natural flora found in traditional and paleolithic diets., But Prescript-Assist goes further. Introducing the Human MicrobiomeResearchers have now learned that the number of bacterial cells in our bodies is more than 10 times the number of human cells. 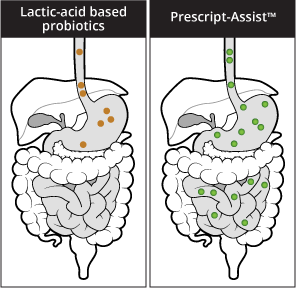 This collection of living cells is essentially an extension of our own bodies, and has been labeled the "human microbiome" by medical scientists. 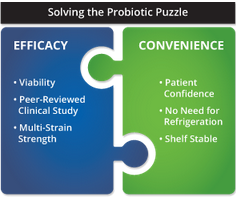 Perhaps unsurprisingly, it has also become clear that the number and types of species found in the gut spell the difference between an optimal digestive and immune system and an unhealthy one. 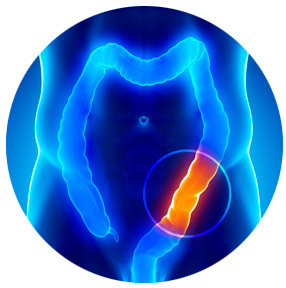 Individuals with higher levels of gastrointestinal distress and gut irregularities have been found to have a correspondingly lower variety of helpful bacteria in the intestines.